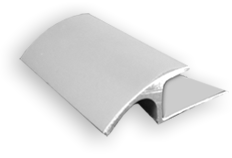 To meet the growing demand for a varied-level reducer that protects the flooring on both sides, CTC has developed the WC and WT. 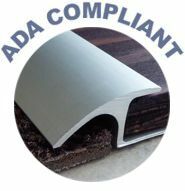 These trims provide the strength to withstand foot/rack/pallet jack traffic, ensuring that your wood, tile, stone and carpet remain in great condition. 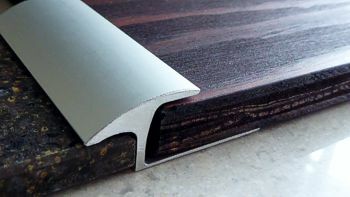 Provide anodized aluminum edge strip with 15/16" reveal at top edge and integral provision for anchorage to substrate. Height to match wood thickness. Finish to be clear anodized aluminum. Ceramic Tool Company (CTC) warrants our products to be of good quality and manufactured to meet ANSI standards. 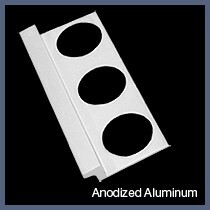 Satisfactory results depend not only upon the quality of our products but also on many factors beyond our control. The user shall rely on his own information and tests to determine suitability of the product for the intended use and the user assumes all risk and liability resulting from his use of this product. CTC's sole liability is to replace the product or refund the purchase price if the product is determined to be defective. 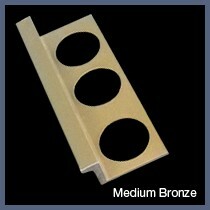 All CTC trims are made in the USA. Here at Ceramic Tool Company, it is our responsibility to provide all our customers with the best flooring products at a great price. More than that, we know beyond our inventory we have the experience of 30 years helping you get the exact material you need, exactly when you need it. 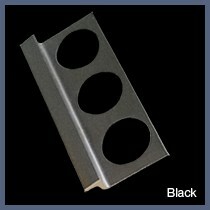 When you call Ceramic Tool, our goal is to understand just what your application is, so even if the plans don't call out for our product, we make sure the right one gets installed. 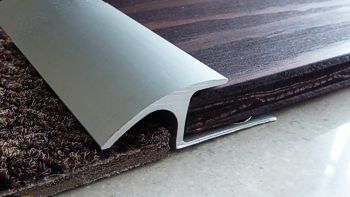 We want to find the best way to help you, from finding the perfect flooring trim to getting it shipped to you or the jobsite right on time.